Like the annual cycles we all live within, the scarf is circular. There are no ends to flap in the breeze or catch in the car door. There are a number of ways that this scarf can be worn to dress up a drab outfit. It is the perfect accessory for when you are feeling a bit sheepish. It also comes in a number of colors, including pink, red, blue, and sand, so that you can choose just the right sheep scarf for ewe, er, you. 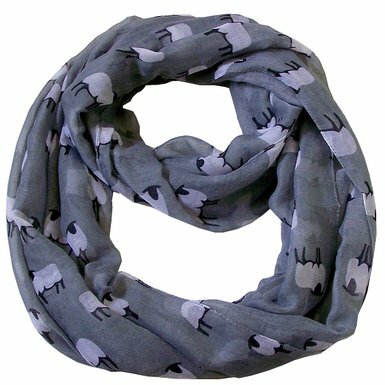 To order a Sheep Infinity Scarf, click here.